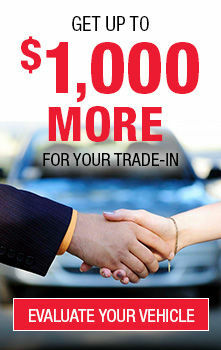 Given the exceptional reputation for reliability of the Toyota brand, consumers looking for the best possible used SUV trust that getting a used RAV4 or used Highlander at a Toyota dealership is the best bet. Spinelli Toyota Lachine offers an unrivalled choice of SUV in Montreal. And if you buy your Toyota SUV, you can take advantage of all the benefits that come with the Toyota promotions and Toyota financing. The used Highlander are part of the Powerful and safe, the pre-owned Highlander have, depending on the model, a 3.5 litre, 6 cylinder engine with direct injection that delivers 295 horsepower. Their sound system includes a 6.1-inch touchscreen and 6 speakers. You'll find it has Bluetooth, a backup camera, automatic two-zone temperature control, upholstered front captain seats and the Toyota Safety Sense suite. 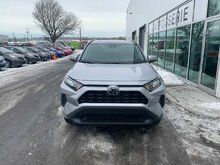 The used RAV4 that you will also find among the used Toyota for sale in Montreal, near Chateauguay and the South Shore at Spinelli Toyota Lachine are available in 6 gasoline engines and 3 hybrid models. When you purchase a pre-owned RAV4, you have the chance to put your hands on a better equipped RAV4 at a more affordable price. For example, the used RAV4 Trail come with AWD, a 6-speed automatic transmission and a 2.5 L 4-cylinder engine that produces 176 horsepower and a torque of 172 lb.-ft. The used RAV4 Trail have a towing capacity of 1,590 kg (3,500 lb). They are equipped with a suspension lift, black 18-inch alloy wheels, a heated leather wrapped steering wheel and halogen headlights. Among the used Toyota near Laval offered by Spinelli Toyota Lachine, the midsize Toyota 4Runner SUV combines its excellent off-road capabilities with a refined interior. Behind the wheel of a used 4Runner, you'll be able to drive through the woods in complete comfort. Along with its large heated front seats and reclining seats in the second row, it offers a sound system with a 6.1-inch touchscreen with steering-wheel controls, navigation, Bluetooth, backup camera and hillstart assist. It is propelled by a powerful 4.0 litre V6 engine that delivers 270 horsepower and a torque of 278 lb-ft. with a towing capacity of 2,268 kg (5,000 lb). And last but not least, don't forget that among the used Toyota near Laval, you'll also find the Toyota Sequoia with their 4-wheel drive, V8 engine and 401 horsepower and their impressive towing capacity of 3 220 kg (7,100 lbs) depending on the model.